Drive your shooting costs way down with Tula brand ammunition. 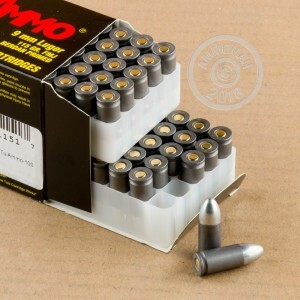 These 9mm Luger cartridges come in boxes of 100 and fire a light 115 grain bimetal jacket bullet at a muzzle velocity of 1,150 feet per second. 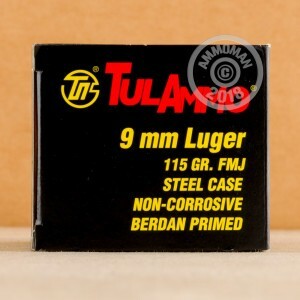 Like other Tula ammo, they use non-corrosive Berdan primers and non-reloadable steel cases coated for reliable cycling. The steel used in this ammunition has some magnetic properties; not all ranges allow ammo with steel components. Place an order at AmmoMan.com and get free shipping if your total exceeds $99!